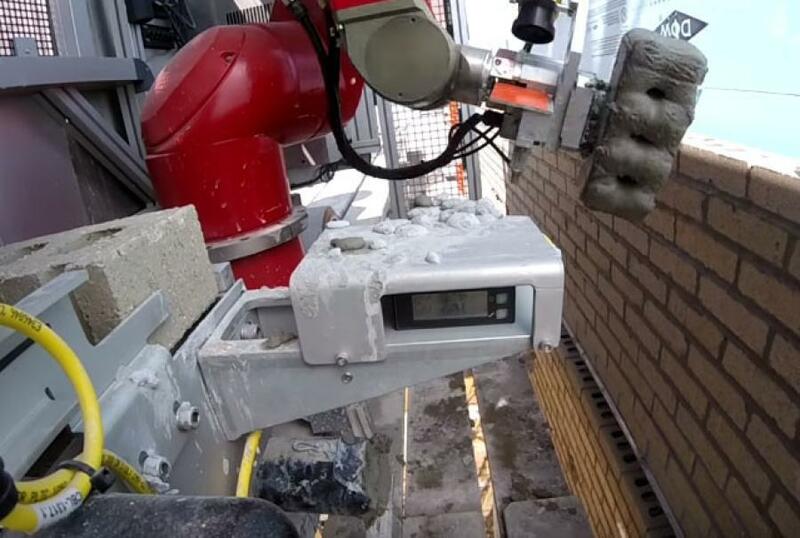 Recently, a bricklaying robot made headlines by laying 300 to 400 bricks per hour — far more than a typical human's 60 to 75 bricks in the same amount of time. A Markets and Markets report recently showed that the global construction robot market is expected to grow from $76.6 million to about $166.4 million by 2023. Lately, the construction industry has seen significant robotic developments, allowing for autonomous site prep, aerial photography, bricklaying and much more, Engineering.com reported. Traditional — Traditional robotics encompass a lot, including automated vehicles and even human-like structures. Perhaps one of the most common you'll find on the construction site is some sort of semi-autonomous construction vehicle, which typically collaborates 3D site maps with data transmitted from the vehicle. While an operator might monitor the vehicle's actions, he or she will not actually operate it. Robotic Arms — Robotic arms are gaining traction in the construction industry due to their easy transportability, Engineering.com reported. When placed on semi-autonomous platforms, these arms can use applications, like 3D printing, to build structures almost entirely by themselves much more quickly than humans. Recently, a bricklaying robot made headlines by laying 300 to 400 bricks per hour — far more than a typical human's 60 to 75 bricks in the same amount of time. Robotic Exoskeletons — According to Markets and Markets, robotic exoskeletons are predicted to experience the highest rate of growth out of all types of robots, although the current focus is much more on autonomous and semi-autonomous machines. The report also showed that demolition robots will likely make up the largest portion of business in the industry by 2023. These machines look like small excavators without a cab, which makes it easier for them to maneuver into small spaces where demolitions often occur, Engineering.com reported. Robots in the construction industry operate with varying degrees of autonomy, Engineering.com reported, though according to Markets and Markets research, semi-autonomous robots will likely be the type to make a bigger impact on the construction industry. They work with machine operators, not in place of them, providing the chance for workers to perform difficult jobs more easily, Enigneering.com reported. However autonomous robots may get, however, Noah Ready-Campbell, owner of Built Robotics, said he doesn't believe they will replace workers any time in the near future.